Do you remember the first time a Thwomp unexpectedly fell from the sky to end your life while playing Super Mario Bros.? Of course you do, it was as traumatizing as it was frustrating. 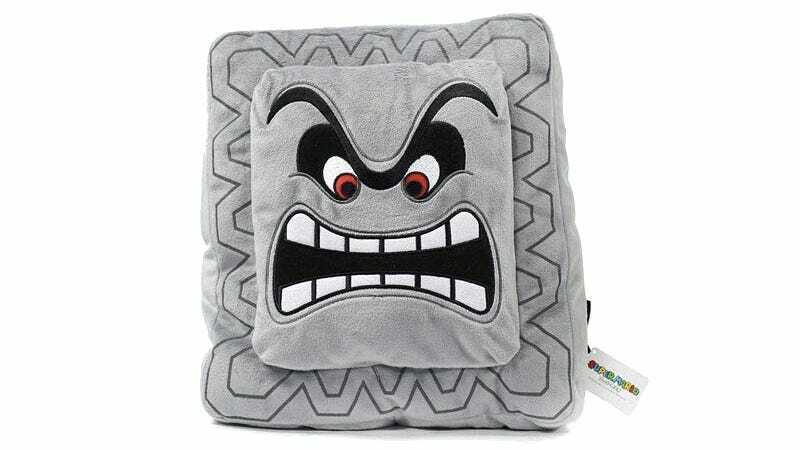 But it also gave you a greater appreciation for Thwomps as an enemy to be feared, and a better understanding of why this cushion would be perfect for pillow fights.